Without further ado, let's get this blush party started! When I bought this blush I had no idea how big the brand Canmake was. Turns out it's a very well known brand and is famous for its cute packaged make up items. I have to admit I caved for this blush because of its packaging. It seemed compact and getting 2 colors for one, is something every girl with a budget can appreciate. It has a coral and a pink side. You can use the colors separately, but you can also mix these 2 colors together to get a light pink. This blush is probably my most expensive blush I own. 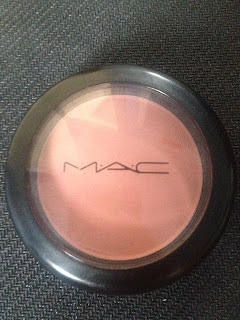 It's a matte corally blush that has a great pigmentation and will stay for quite some time. 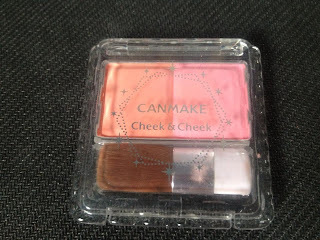 Just be careful when applying this because you have to dab in very lightly with your blush brush and you'll have more than enough on your brush. Yes, they're not expensive, but since a little goes a long way I don't see my finishing this blush any time soon. A good investment I'd say! 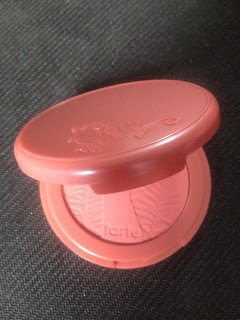 Tarte is known for its blushes and I just had to get myself one to see what the hype was all about. 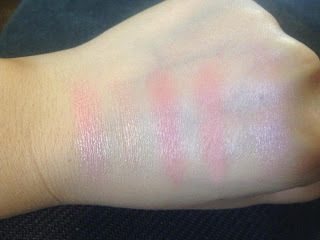 Next to the pretty blush itself, it gives the lovely subtle sheen I love. I got Blissful and it's a very light coral color, so hence that it seems very light. This blush stayed on me the entire day. I'm withholding myself to get another color, must...finish...this...one...first. (which will never happen!). 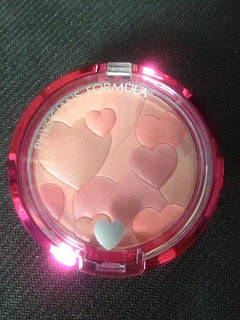 Another detail worth mentioning: this blush is formulated without mineral oil, parabens, petrolatum, phthalates, sodium lauryl sulfate and synthetic fragrance. My number 1 blush... This coral color will suit a lot of skintones and just gives the perfect amount of color and sheen to your cheeks. A wonderful blush that has a pleasant fragrance as well. The blush will stay for a very good amount of time. I like this blush because it's a no brainer blush. You don't have to be careful when applying this. Just dab in your blush brush and apply to your cheeks. No matter how many times you go over it with blush, it'll look great! It's obvious that MAC and Physician's Formula are more pigmented, followed by Benefit's Coralista. I like the 2 others because they give that healthy glow to the face. MAC is a little bit darker and is more pink than the PF's coral blush. 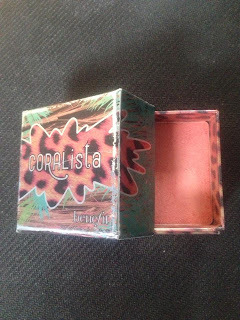 Coralista is a coral (duh?) with a sheen to it. 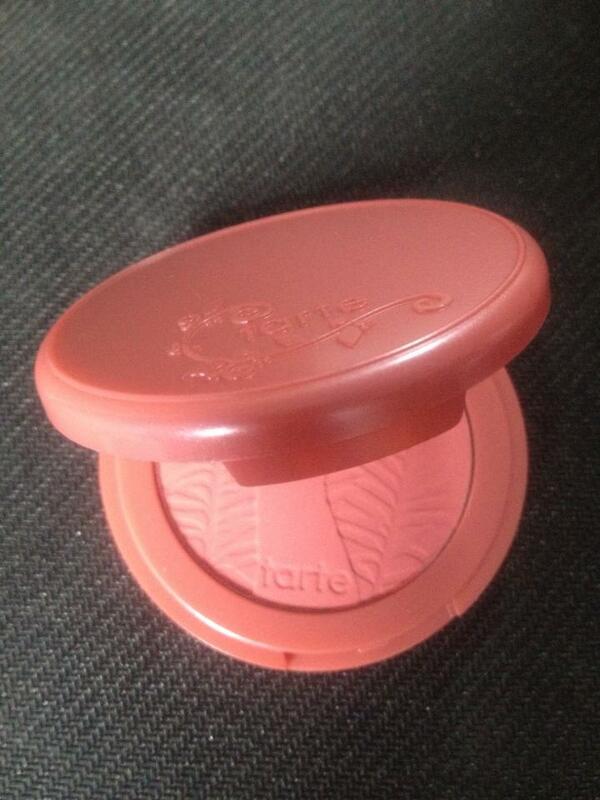 Blissful by Tarte is more of a corally, almost golden sheen, while Canmake's blush is the pink version of it. Anyway, these are my favorite blushes. Mind sharing your favorite blush with me? Maybe I'll turn out to like it as well!